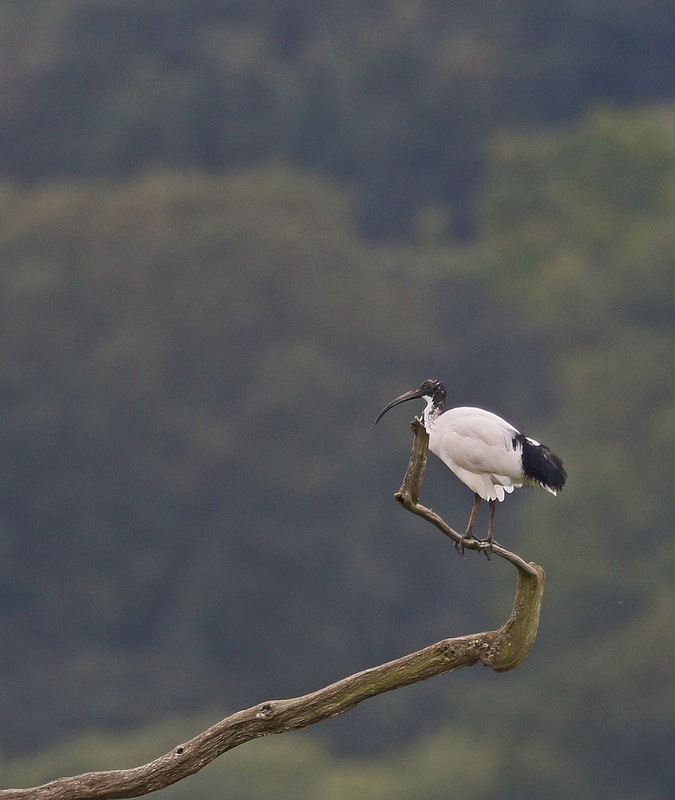 The unringed Sacred Ibis reported previously was resting in the dead tree at Llyn Coed-y-Dinas this afternoon. While it is almost certainly an escape from a collection, there is a feral breeding population in western France, which is probably where our vagrant Glossy Ibises may originate. 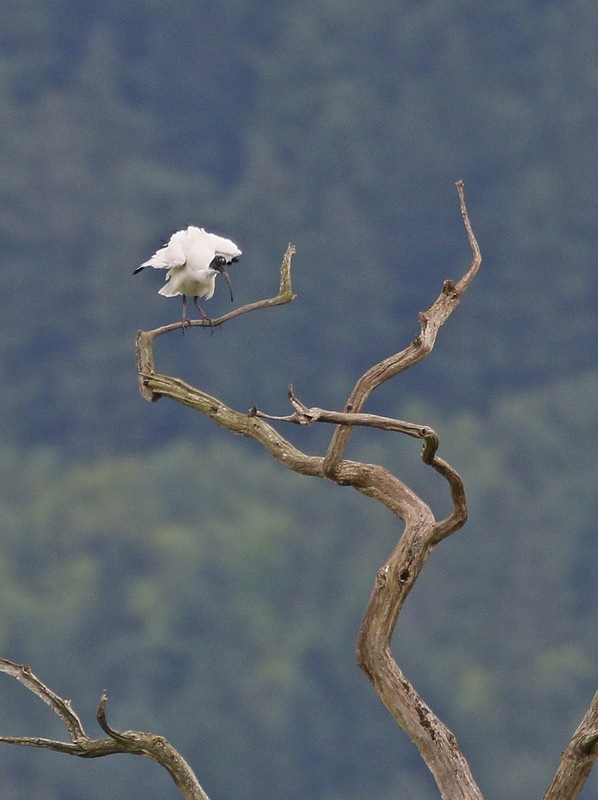 Not to mention Cattle Egrets, and Great White Herons. 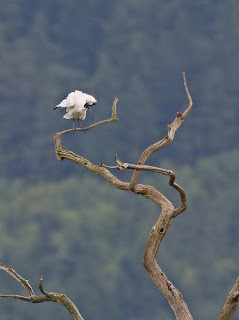 Thirty years ago Little Egrets caused great excitement. Well done Chris...and why not? Logic says : in a collection, probably ringed, so , odds on a wilding. Nice one Chris, sound as if it's local.